The old adage “Don’t put all your eggs in one basket” rings true here. For example, if you are hesitant about investing in mutual stocks, go for index funds. The more diverse your portfolio is the better off your investments will be. Fear has the tendency to make the most seasoned investors doubt themselves. You might end up panicking and selling because everyone else is. Analyzing your investment will make it less of a mystery. Take a step back and analyze your motives. Does selling your investment seem like a good idea? Maybe you should consider other options to solve your particular issue. It’s best that you reconsider if the only reason why you are afraid to sell is because things seem tough. Always invest with a purpose in mind. This will give you the chance to prepare for any financial responsibilities that you need to take care of down the road especially if you have dependants or mouths to feed. Remember, your investment choices should reflect your goals. For example, certificates of deposits can serve as low risk investments if you need to save up for retirement or need to put in a down payment for a house. You won’t be afraid to invest once you make an investment plan and stick to it. Think hard about what you want your portfolio to look like and what you want it to accomplish. Will it help you reach your goals? If not, don’t hesitate to tweak it. You can start by analyzing what it is that makes your investments work. Once your plan is in action, it will help you understand your situation better and stay on track. Keep your emotions in check, know what your priorities are and your fear will take a back seat. Of course, you will never overcome your fear to invest if you do not take the first step. Your first step doesn’t have to be an investment either. You can start by learning how the financial market works. Once you know what you are getting into, it will be easier for you to make a decision. You can overcome your fear to invest if you change how you think about the prospect. It doesn’t matter whether you invest in stocks in the Canadian Stock Exchange, real estate or anything else. The process is all about putting your money to work and deciding on risks that won’t deplete your finances. Just as when Police Detectives cite the reason they prefer to work homicide cases as being because the dead do not shoot at them, growth investors can learn that using the vulture method of buying value at a discount, is much safer than jumping on a wave of earnings that is exposed to countless risks. The core lesson being that long term growth can change overnight, whereas buying at a discount to true value can never fail. Of course this flies in the face of what many feel is the right thing to do by betting on winners, when the vulture will tell you that the field is littered with previous winners that fell prey to some aspect of the market, management, poor controls, or any other number of unmitigated risks. Most investors do not want to think of themselves as capitalizing on the misfortune of others, yet growth investors should look to the spoils of the vulture and realize that winners do not always win and few keep winning for long periods of time. Second to understanding the true risk in overpaying for future hopes in the form of earnings, the growth investor can benefit from the vulture’s ability to identify the true value and underlying profit potential for each aspect of a business. This understanding of underlying value, earnings production capacity, and potential of portions of a business if unleashed from the whole, can give the growth investor insight into management’s maximization and allocation of resources as well as their understanding of their business as a whole. Any growth company that is under utilizing parts of the company could signify a management team that is a one trick pony and will not be able to adapt to changes in market conditions, thus preserving shareholder value. Lastly, growth investors can learn to hold management accountable to maximizing underlying value should the company began to falter. Why growth investors sell to vultures when they themselves could realize at least some portion of remaining value is a mystery for the ages, after all, they hold ownership. In most cases, the growth investor could mitigate losses through maximizing liquidation and potentially salvaging portions of companies, leveraging equity into new companies that themselves could become a growth investment opportunity. Growth investors and vulture’s alike are both necessary for an efficient market. Someone needs to build and take risk while there must be others that come in to clean up any mess or failures left behind. Both serve their function and both are honourable endeavours. The growth investor needs to realize this and use the tools of the vulture to make certain that they choose the growth companies that are truly maximized, have underlying assets and value that can safeguard losses and if all else fails, deny the vulture the opportunity to reap massive rewards by pushing the limits of available options should problems arise. Vultures spend all of their time waiting for the situation to go beyond hope, the growth investor should consider not selling out and fighting until the very end. This guest post was written by Chris at My Canada Payday. Visit their website at http://www.mycanadapayday.com for any short term credit needs you may have. Those people who have had the fortune of not getting into massive debt usually don’t understand why those who do have large liabilities can’t get out of their financial pitfall. The problem usually stems from multiple sources of debt coupled with technical jargon that makes it hard for them to know where to start. The best way to begin rehabilitating large debts is to keep track of all income and expenditures, prioritizing payments towards interest expenses. 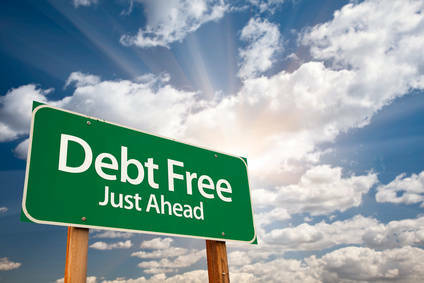 This can be a very tedious and boring process, but the end result can be of great help to the debt holder. Once all liabilities are identified, it’s time to prioritize. Ensure that all creditors receive the required minimum for each month. Any excess disposable income should then go to the highest interest debts, which means that any payday loans you owe should be paid off first. Paying off these big loans will help minimize interest payments later on. This habit should kept strictly for the next few months, and any additional income should go into paying off loans faster. Some simple luxuries like cable television and new clothes will have to be suspended in the meantime. These will be months spent living in frugality, but the next few years after all the loans have been paid off can be spent building up towards a more profitable lifestyle. The United States of America and Canada are immediate neighbors and huge trading partners. The two countries have excellent relationships with many facets, and economics is one of them. One of the more interesting economic factors with any two trading nations is the relative value of their currency. Fortunes have been made and lost over just this factor alone, though to most people the adjustments in valuations change slowly and only directly effect them in minor ways. Those who live in border towns are most acutely aware of the fact that previously the Canadian dollar (nicknamed the Loonie) was worth a significantly lower amount than the US dollar. Now they are at near parity and have been so for several years. These changes in valuations between the US and Canadian dollars will influence which side of the border people will go to for making their purchases. For example Canada has higher sin taxes on tobacco products, so a drive south for them can yield great savings. About five years ago there was an opposite effect when citizens of the US realized that prescription pharmaceuticals were much cheaper to buy in Canada, and those who needed them rushed to the north to purchase them. This was due to legislative differences between the countries, namely the discount inducing requirements of the Canadian socialized medicine system which is unlikely to ever materialize in the United States. There are several important differences in the way the two countries legislate over business. Financial investment, and their associated tax systems is another such area. A discerning investor will take advantage in using the best aspects of each system. It’s another example of how trade will continue between these linked economies. Right now, we are a throwaway society who likes to use anything that we need and throw away the waste items without thinking twice about the consequences. Global warming, increased levels of chemicals in fish etc. are some of the known adverse effects of this habit. If we continue in this route, our children are going to follow on our footsteps and eventually will lead to the end of the planet as we know of. We must teach our children about the positive effects of recycling. They must be taught about this from their very young days itself. This way, they will help in protecting mama nature and our future generations. Access to water can be a major hindrance for the development of our future generations. Some experts are already mentioning the possibility of the next world war over the disputes for access to water. In this scenario, you must use this precious resource with a lot of care. Your children need to be taught on ways to use this scarce resource sparingly. Wastage of food materials must be avoided at all possible opportunities. You can imbibe this value in your children by teaching them about the people who suffer from hunger in various parts of the world. Some people choose to let the income tax deduction choices on their job filing status be a savings plan. While most folks want the government to receive the minimum possible from their hard won earnings, some see it differently. At the tax filing season, some people owe the government money, some are owed. If you’ve chosen to have extra deductions, without having the extra expected income, then you are likely to get a refund. It’s a unique savings plan. For those who have trouble being disciplined savers, this can be an easier way to accrue earnings without having to think about it. Of course, if they had more discipline, they would gain some benefits by saving with a bank. Access to their funds in an emergency is one advantage. Earning interest on that money is another. The government allows for neither when it collects income tax from employee’s through their employers. There is something exciting about getting a large check all at once, versus the more mundane savings method. Perhaps it’s an immature approach, but it does have the benefit of working toward building savings that otherwise wouldn’t happen. Some people need a gimmick or excitement associated with their money. With interest rates so low, it’s not much of a loss to do it this way. It’s a way more successful strategy than gambling or playing a lottery. 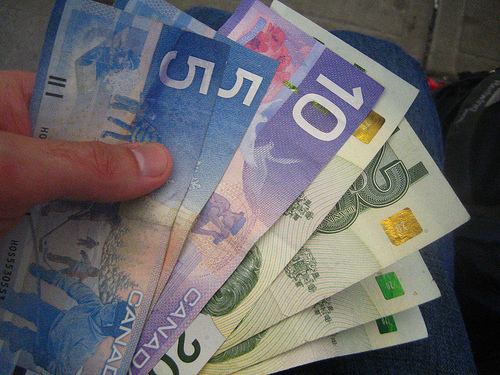 Canadian residents receiving pension have good news when it comes to tax time. You can now disperse portions of pension earnings to some one else, say your spouse, allowing these funds to be taxed less if they are in a lower tax bracket than you are. Not every pension plan is available to be split in this way, but it is very helpful for many. You must either be part of a common law partnership, or married to the person that you allocate your funds to for this system to work. This is great news for many, because a fixed income does not fix much, especially when you have to pay a higher tax rate. Both you and the individual that you choose to receive a portion of your retirement earnings have some paperwork to do in order to utilize this tax break. You need to fill out forms together and sign them together, including Form T1032, Joint Election to Split Pension Income. Some of these form lines will be different for the two of you. Having a conversation with a tax preparation expert can help you plan this out to benefit you the most when it comes to tax season. Saving money on taxes is always great to keep what you earned for yourself. Should payday loans actually be used? The ability to pay for the products and services that we need in our day to day life is really important in ensuring the quality of our lives. As all of us who live in Canada are striving hard to provide the best facilities to our children and ourselves, our financial might is becoming a very important aspect in ensuring our living standards. All of us try really hard to live within our financial capability and take care of our needs. The Canadian people by nature are hard workers and like to live our lives on the fruits of our hard work. But, the recent times have been quite hard on the middle class and working class people in the country. Along with impending fears of a housing bubble crash, the Canadian economy has been under the tight grip of recession and its associated ill effects. Right now, it is not easy to hold on to your job, or to get a good paying job. Again, the salary is not increasing at the same pace as the recession. As a result of all these aspects, many among us will need to seek loans from all available sources to ride over our rough times. When a person is desperately in need of money, he or she will accept money from any available resource without thinking twice about the terms and conditions associated with the loan. This is not a wise method to choose a loan. Commercial banks and credit card companies do provide you with loans with a very reasonable rate of interest. But, if you exhaust all these opportunities, then you will be really desperate to gain any more money. In such circumstances, payday loans can provide you with a way out of the tough situation, but the same precautions you take with a normal lender should still apply. You want to seek out payday loans from a reputable company who has been in business for several years. Be sure to check their website to confirm that they aren’t some fly-by-night operation. Are these sorts of loans good for any person? They do provide these loans to people from all backgrounds of life, provided you can prove that you have a job. In most cases, these loan amounts can be obtained for a short period until your very next pay check. In the current scenario, most payday loan firms operate out of the internet and provide you with an opportunity to apply for these loans over the internet. In most cases, these loan amounts are delivered right away by Interac email money transfer or something similar. Once the loan is approved, the loan amount will be credited to your bank account usually within 24 hours. Once the money has arrived, you can easily withdraw it from an ATM or pay your bills using your online banking. Is it okay to get a short term loan for dealing with long term problems? In a nutshell, no. These loans do charge you a higher rate of interest and other related charges than commercial banks. Another requirement of this loan is the need for paying back the loan on your very next payday, and failure to pay can result in very high fines and penalties and can cost you money. Hence, if you are unable to pay back at such a short notice, do not opt for it. Payday loans are good for use during emergencies to ride over short term financial troubles only. You must use this opportunity wisely and with a lot of care. Author DalePosted on July 19, 2012 June 25, 2013 Categories loansLeave a comment on Should payday loans actually be used? Moneysense‘s Dan Bortolotti enlisted the financial expertise of portfolio manager Justin Bender and investment advisor Shannon Dalziel, from PWL Capital, Inc. of Toronto to renovate the investment portfolios of Canadians in need of change. The results were amazing and found their way to the Yahoo finance Canada: Renovate your Portfolio. The article details the successful portfolio makeovers of three Canadian households: a retired couple, a family with three young kids, and a single woman. “Each of our investors was struck by how much they would save in fees?” on a mid-six-figure portfolio, a 2% savings can be $1,000 a month “but it’s not just about cost. After all, if you’re doing a renovation, you might be able to buy a top-quality power drill at a deep discount, but that won’t help you drive a nail. In the same way, we hope to show you that building a portfolio is all about finding the right tool for the job.” says Dan Bortolotti in the article. Justin Bender has a unique way of presenting risk assessments to his clients called Monte Carlo simulations, which are a form of stochastic modeling techniques, where he stress tests different asset allocations to demonstrate which will work best for the clients situation. This combination of his financial genius and his ability to show investors concepts that they can understand and trust has shown amazing results. In Canada, more and more retirees and those over 65 years old aren’t able to enjoy their golden years of retirement. Instead of having a financially stable portfolio, these people are the largest group who are insolvent, according to the non-profit organization Vanier Institute for the Family. Comparing the figures from 2010 and 1990, the non-profit found out that retirees during both periods shared the same disappointing fate when it comes to bankruptcy. The even more unfortunate fact is that these figures may point out to even more people who may be insolvent when they retire a few years from now. This year is the most crucial period for financial analysts as this marks the first group of Baby Boomers entering into their retirement years. This group comprises almost 400,000 Canadians who were born in 1947 and enjoyed positive economic growth during their childhood years, directly after World War II. That year also marked the start of an upward trend in Canadian births, peaking in 1959 with almost 500,000 babies born that year. The implication in 2012 is that, demographically speaking, there are now more seniors in Canada than any other time in almost 100 years. Those that were supposed to enjoy their retirement packages are now looking at a bleak outcome. To add insult to injury, this trend will only worsen in the next decade as more Baby Boomers enter their retirement years.